The term access control refers to the practice of restricting entrance to a property, a building, or a room to authorized persons only. 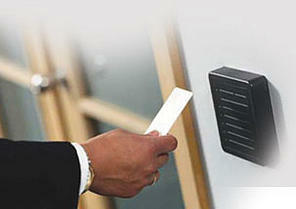 Physical access control can be achieved by a human (a guard, bouncer, or receptionist), through mechanical means such as locks and keys, or through technological means such as access control systems like the mantrap. Within these environments, physical key management may also be employed as a means of further managing and monitoring access to mechanically keyed areas or access to certain small assets. When a credential is presented to a reader, the reader sends that credential’s information to a control panel, a highly reliable processor. The control panel compares the credential’s number to an access control list, grants or denies the presented request, and sends a transaction log to a database. When access is denied based on the access control list, the door remains locked. If there is a match between the credential and the access control list, the control panel operates a relay that in turn unlocks the door. The control panel also ignores a door open signal to prevent an alarm. Often the reader provides feedback, such as a flashing red LED for an access denied and a flashing green LED for an access granted.